Hi, Thanks for being interested in my work and my farm! 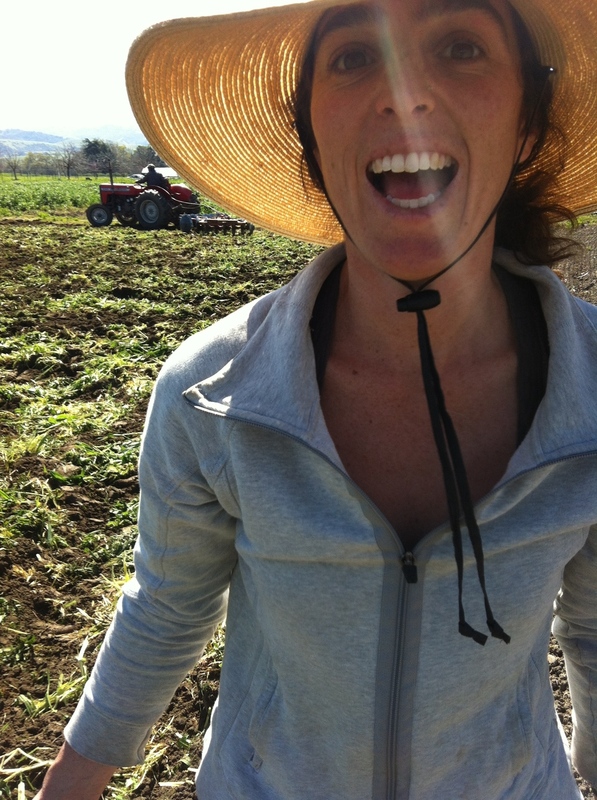 My name is Joanna Polly Silber Letz, I am the Founder and Owner-Operator of Bluma Farm. As a small farmer and a small business owner the margins of profit are not large. I believe the risks and hard work are worth the effort. As a poet and a dancer I appreciate the work; the seeding, weeding, harvesting, and selling. To wake up and put on boots and work clothes, a hat too, and go out to the farm is a privilege worth the effort. To walk out to the fields and watch things grow, the seasons change, the birds and insect life come and go, is a privilege worth the effort. 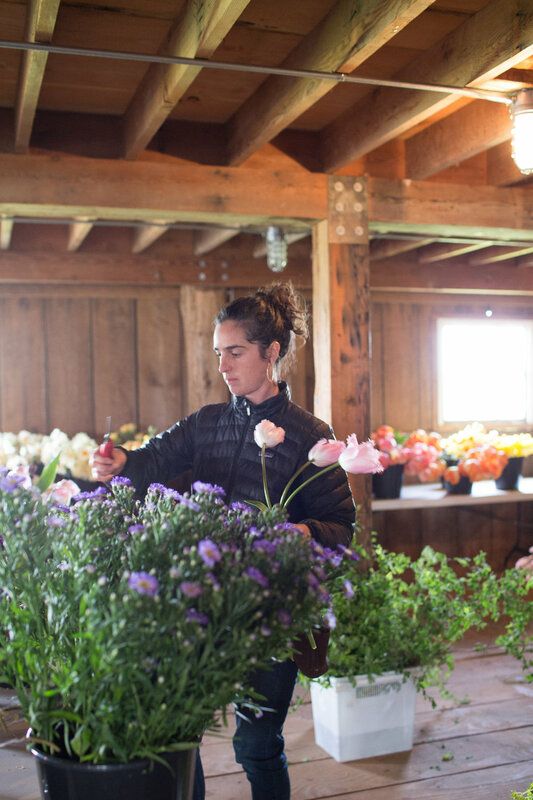 To provide my community with local and organic flowers is a privilege worth the effort. And to protect the soil, biodiversity, and ecosystems is a privilege worth the effort. I started Bluma Farm in the fall of 2014. I started farming in 2008 and fell in love with the life and work. Since then I have dreamed of one day starting my own farm. 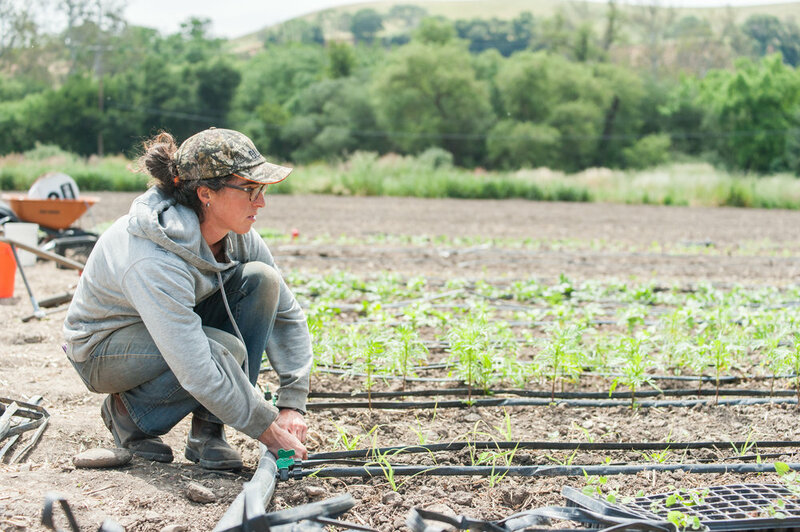 I apprenticed on numerous farms in California including; Heaven and Earth Farm near Nevada City, Green Gulch Farm and Zen Center in Muir Beach. I completed the UC Santa Cruz Farm and Garden Program (CASFS) where I received a Certificate in Ecological Horticulture. Most recently I was the Garden Manager at Slide Ranch in West Marin. At Slide I had the opportunity to grow over 100 varieties of vegetables and flowers. I thought about beginning a farming career after I traveled for eight months with a group of students to five countries looking at the affects of globalization on small farmers. I was disheartened by many of the things I saw happening to small farmers across the globe. It was on this trip that I realized the importance of small organic and diversified farms. In part as a response to the current trend around the world of “get big or get out” I decided to see what working on a small diversified organic farm was really about. I apprenticed for a number of years before managing a small farm myself. I had the great opportunity to work with and learn from many long time organic farmers in California. I want to make farming my livelihood. For me farming is a way of life. A re-connection to the cycles of life, the seasons, and to some of the very basic things we depend on; plants. I started farming with a desire to work with my hands, be outside, and be of service to people and the planet. As a farmer there is never has a dull moment. I feel privileged to be involved in growing flowers and taking care of the soil, waterways, land, air, and people. My family are all Jewish immigrants from Eastern Europe. My Mother’s family came to this country just after WWII. My grandparents survived in hiding in Poland. My Mother was born in a Displaced Persons camp in Munich just before the family received visas to come to the U.S. They quickly settled in Farmingdale New Jersey where other Jews and survivors landed. For some time they were chicken farmers as well as Christmas tree farmers. But with the advent of the refrigerated trains small egg producers couldn't compete with the large farms. The family could no longer make a living from the egg production as the bigger producers could charge significantly less for their product. My Father’s family were also chicken farmers but on the West Coast in Rancho Cucamunga, Los Angeles. My father’s family had wanted to be farmers for some time. They also tried to make farming work but ultimately they could not sustain the family on the farm. My Grandfather Isaac Silber kept a large garden. This was my first exposure to plants and farming. I vividly remembers the wild zucchini plants and my Grandfather’s delicious honey. It was these memories that helped bring me into the farming world. My grandparents on both sides had hoped to make a livelihood off of farming. Now I'm taking up that torch of farming. In Europe farming was something most families did at least on the kitchen garden scale. Growing plants was normal for my grandparents. In much of our culture in the U.S. today growing plants is somewhat outside the norm. But growing plants and food is coming back into focus with urban farms popping up around the country. I studied History and Human Rights in College. I believe farming and enjoying fresh vegetables and flowers is a basic human right. I believe that food and farming has the potential to bring people together. I believe farming has a positive effect on people's lives. I hope to bring many people to my farm and encourage more people to grow plants! Engaging with plants and dirt day in and day out is a privilege I relish. But farming is no romantic career. Farming is hard work and you can’t always know what the weather will bring or what new insect will come along and eat up your crop before you can harvest. As a small farmer and a small business owner the margins of profit are not large. I believe the risks and hard work are worth the effort.